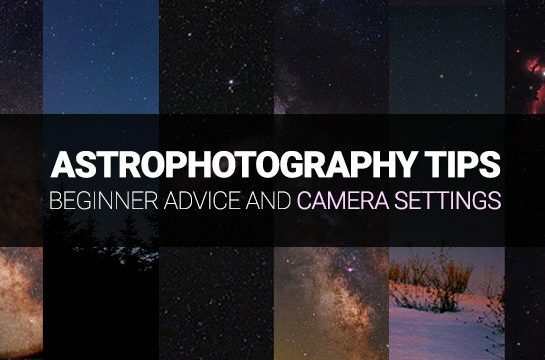 The following astrophotography tips apply whether you are shooting deep sky with a DSLR and telescope, or with a simple camera lens on a tripod. If you are just getting your feet wet, and are looking to capture a photo of the night sky that includes colorful, sharp stars and maybe a galaxy or nebula – these 7 astrophotography tips will help you get there. As a preface, the bare minimum you will need to take an astrophotography image like the one below is a DSLR Camera, A basic camera lens, and a sturdy tripod. DSLR astrophotography is gaining popularity across the globe, as modern digital cameras make the hobby so much easier than it used to be in the days of film. For an extraordinary shot, additional accessories such as a remote shutter release cable and a star tracker mount are recommended, but not necessary. 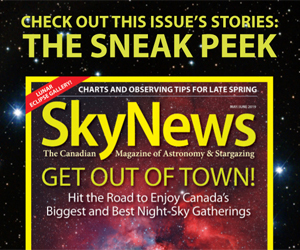 None of the images on this page were captured using a telescope. You can set up in your backyard, a balcony or any outdoor space that includes a wide swath of the night sky. As for a subject, I would recommend an area of interest that includes a familiar constellation, star cluster or even a bright galaxy or nebula. You can download a planetarium software on your computer or phone to help you plan out your imaging session. If you are a long time following of this blog and are more interested in deep sky astrophotography tips and the details of my latest equipment, please view this post as an entry point into the hobby for beginners. There are many aspiring astrophotography enthusiasts looking for actionable, useful information and I want to be the one that provides it. What settings do you use for astrophotography? Usually, when people ask this question, they are referring to a setup that includes a DSLR camera and lens pointed towards the night sky. 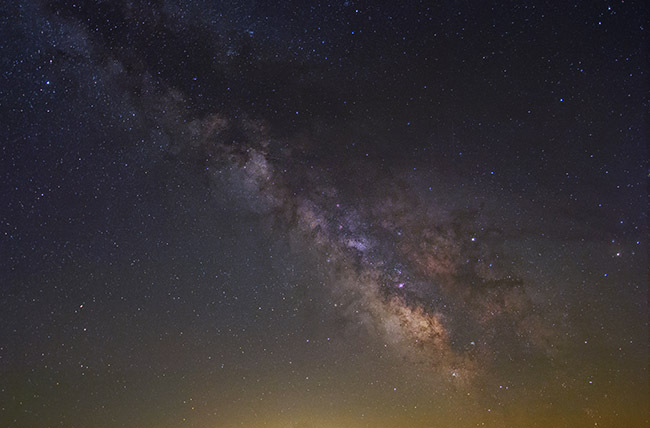 Often times this is an attempt to capture the Milky Way over a beautiful landscape or simply a dark rural area. 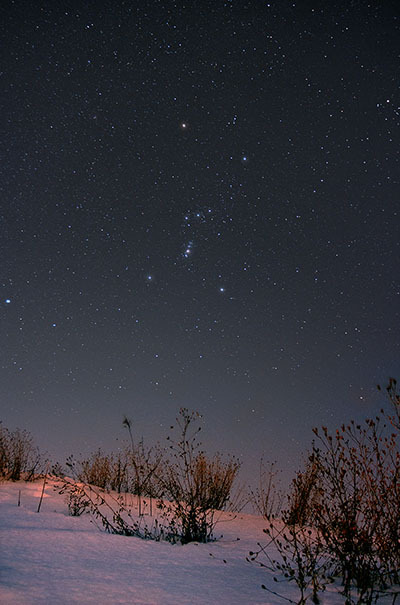 Many of the same settings that work for a stationary tripod photo also apply when connected to a telescope for deep-sky imaging. I have been capturing astrophotography images with a DSLR camera for years, and certain aspects of my technique have not changed. There are some general best practices and camera settings that apply to many types of astrophotography, including those shooting the night sky with a basic camera and lens. Obviously, to generalize these tips leaves out the subtle variations and nuances that occur when putting these steps into practice. For example, lenses often perform better when “stopped down” from their fastest aperture. This can result in sharper stars with less chromatic aberration. So take these settings with a grain of salt, and experiment with them for yourself. Highly actionable advice you can try with your DSLR camera tonight… if it’s clear! To illustrate how “die-hard” I am about backyard astrophotography, as I write this post, my deep-sky imaging plan for tonight dwells in the back of my mind. It’s a Friday night, and while most of my friends will be out socializing, I’ll be under a night sky full of stars with my camera. These days, I live and die by the weather forecast. 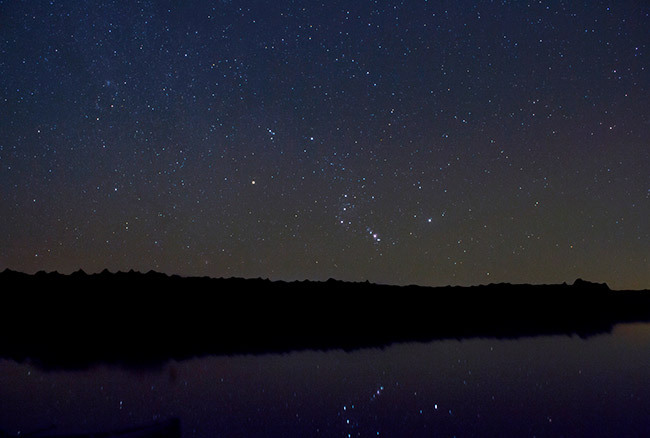 My closest friends and family know that all of my social engagements revolve around a clear night sky. If it’s new moon, and the sky is clear, only the most important on plans and holidays will receive my time and attention. The nature of this hobby is that you are bound to the weather, and the clear skies needed for astrophotography can be quite rare. With a glimpse into my reality out of the way, here are 7 astrophotography tips that are essential for a successful night shooting under the stars. We shoot long exposure images to capture as much starlight and deep sky objects as we can in the image. This requires the leaving the camera shutter open for long periods of time while the dim lights from space are collected. The tricky part is, the camera needs to either remain perfectly still or better yet move with the night sky for a clear shot. Any shake of the camera caused by something like actually touching the camera is enough to ruin the image. To avoid this there are a number of options, with the simplest being to use the delay timer built into your camera settings. This setting will be found in the drive mode area and is usually in the range or a 2 or 10-second delay. An even easier and more effective method is to use a remote shutter release timer to control the captures. (this is the one I use) This way, you will not touch the camera whatsoever and can avoid a blurry image with oblong stars and trails. Not to mention, these cables allow you to shoot exposures longer than 30-seconds, and to automate a series of shots. Learning how to focus your camera for an astrophotography image is one of the first big hurdles to overcome when entering this hobby. The camera lens needs to be on manual focus (MF) mode, as the stars are too dim and too small for the camera to use autofocus on. 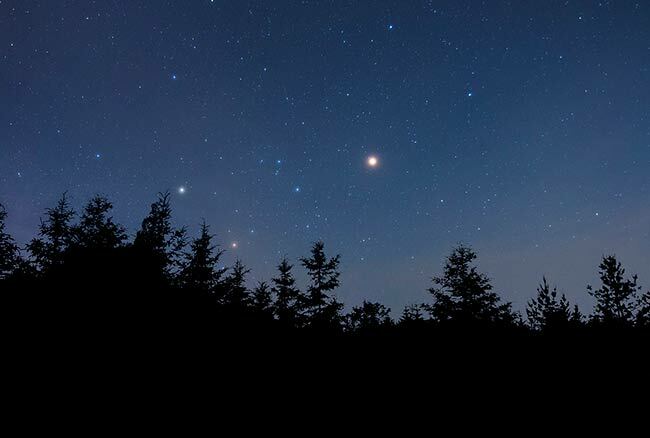 Find the brightest star you can find in the night sky (or the moon/bright planet), and turn the live-view mode of your camera on. 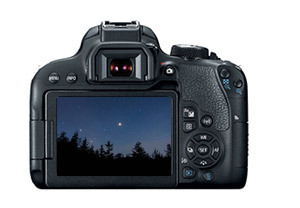 Using the camera settings listed above, you should see at least one bright star on your camera’s LCD display screen. 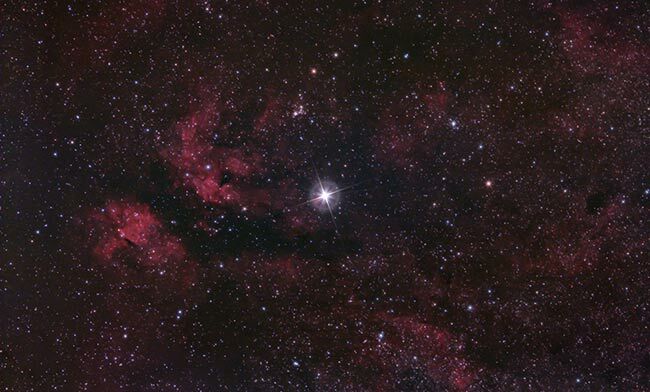 Zoom in on this bright star, at 5X zoom, and then 10X zoom. Slowly adjust the focuser on your lens until the star becomes a small pinpoint of light. You will have to go back and forth, in and out of focus many times before you find the spot where the pinpoint is smallest and sharpest. You can take test exposures and compare your results to confirm the stars in the image are as small as possible. By keeping the image preview zoomed in while switching between preview images, you should be able to distinguish between the subtle changes in the size of the stars. For the photo above, I used a Canon 24-105mm zoom lens at its maximum magnification to capture this large galaxy. Most galaxies are beyond the abilities of a camera lens, as they are quite small. 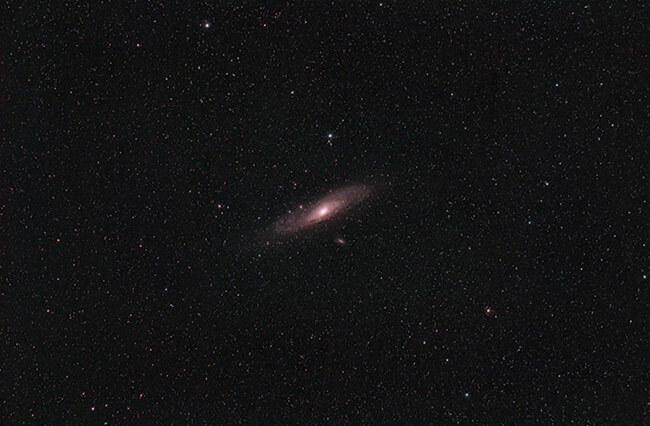 The Andromeda Galaxy and Triangulum galaxy are two exceptions. It’s easy to get caught up in trying to choose the best white balance settings for astrophotography. The truth is if you are shooting in RAW image format, it doesn’t really matter. When you shoot in RAW mode, you can change the white balance settings to whatever you want after the photo has been taken! With that being said, the daylight white balance setting should give you the most accurate color rendition of the stars in the night sky. After all, the daylight white balance setting was designed to produce accurate colors based on the color of our star (the Sun). 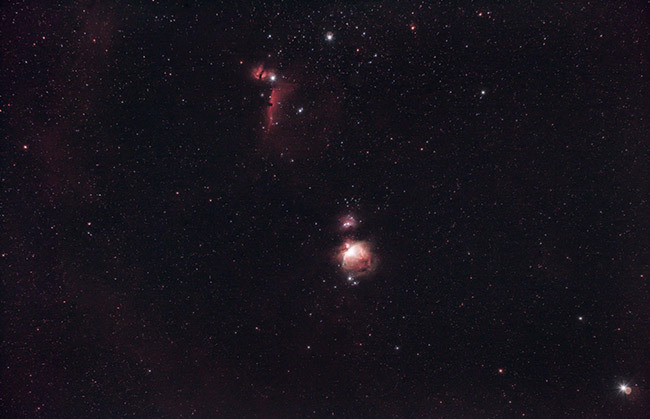 Don’t worry if your sky has a pink/orange hue to it when you preview your images, this is typical of shots taken from areas with light pollution. A simple color balance of the background sky in Adobe Photoshop can bring your sky back to a more attractive neutral grey or blue color. You can also try a light pollution filter to reduce the glow of nearby artificial lighting. I have used a number of filters for astrophotography in my city backyard, and have found the Optolong L-Pro filter to be one of the best at producing natural looking star colors. 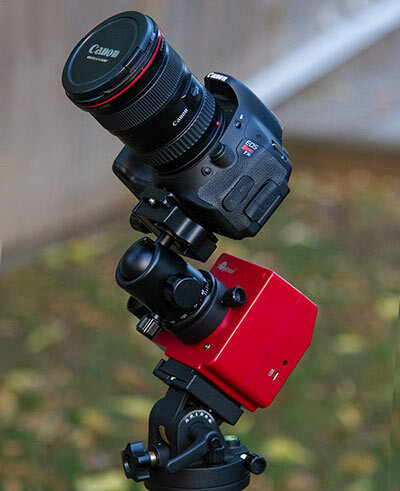 “Clip-in” style astrophotography filters fit inside the body of the DSLR and can be used with both telescopes and camera lenses. What’s the best ISO setting for Astrophotography? 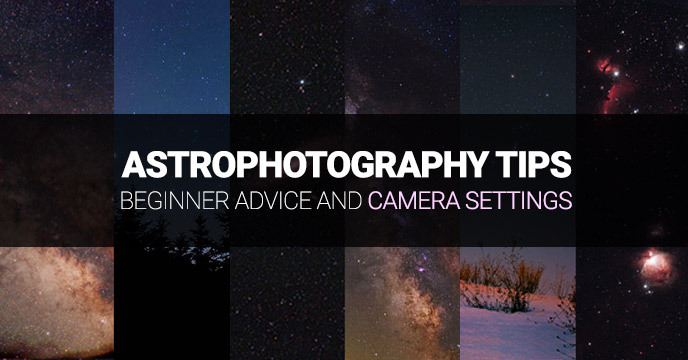 There is no be-all end-all solution for choosing the correct ISO setting on your camera for astrophotography. DSLR cameras generally create more noise as the ISO is increased, and the sensitivity to light becomes greater. The biggest culprit of noise in your images is the camera sensor heating up by collecting light for extended periods of time, using a high ISO setting. The key to choosing the correct ISO setting for your image is to find a balance between light collected, and the amount of noise produced. Thankfully, by stacking a series of images together, we can improve the signal to noise ratio, and cancel out much of the thermal noise created by the camera sensor. I would suggest using an ISO setting of about 800 in your 30-second exposure. This is somewhat of a sweet spot for many DSLR cameras where enough light is collected to show objects in the night sky we cannot see with the naked eye, yet does not have the negative affects shooting with a much higher ISO has. Take some test shots using anywhere from ISO 400 – to ISO 6400. Depending on the camera you are using, you may even be comfortable with the amount of noise captured in images using an even higher ISO setting. A high-end camera lens is capable of producing some amazing astrophotography images with the aperture wide open. In the camera lens world, you often get what you pay for – which is why “fast” lenses like the Canon 200 f/2.8L demand a steep investment. When people mention “stopping down” a camera lens it simply means to drop an F-Stop to a slower aperture with a greater depth of field. What that means for astrophotography, is that you will collect less starlight in the same amount of time, yet the stars in your image will be sharper. It’s a trade-off, and it can often be hard to justify capturing less light in your image, especially for longer focal length images that include a galaxy or nebula. The effectiveness of each F-stop level for astrophotography will depend on the lens you are using. As an example, when using my Canon 300mm F/4L lens, I opt to shoot at F/5.6 because it produces a sharper overall image. When using my Canon 50mm F/1.8 lens for astrophotography, I usually stop down to F/3.2. This helps to sharpen the image up and improves the quality of the stars at the edges of the field. Have a look at my results using this affordable camera lens. A sturdy tripod is an absolute must for capturing images of the night sky. The long exposure, steady nature of night photography demands that the camera remains completely still. A tripod with a ball head is advantageous because it will allow you to point the camera lens straight up towards the sky, and anywhere in between. Not all tripods are created equal. When mounting your DSLR camera and lens, you need to be sure that it is locked into place and that it does not move over time due to an imbalance in weight. Make sure that all knobs are secure before stepping away to ensure the camera does not fall. A star tracker such as the iOptron SkyTracker pro (pictured above) will track the movement of the sky when properly polar aligned. This means that you can now shoot much longer exposures on deep sky targets to reveal faint nebulae, galaxies and star clusters without star trailing. The histogram displays a graph of the data collected in your image and important features such as areas that are either too bright or too dark. The perfect placement of the “peak” or “mountain” of the histogram in an astrophotography image is debatable, although I usually like to see it somewhere in the middle. Don’t obsess over this technical aspect, as it can largely be changed in post-processing anyway. If you notice that the data in the histogram is “clipped” on either side, you will need to make adjustments to your exposure length, aperture or ISO setting. 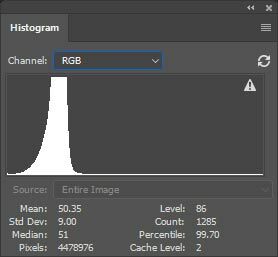 If the image clips data on the left side of the histogram, it means that you will have un-recoverable data that is pure black in your photo. No amount of level adjustments in Photoshop will bring these details back. If the histogram shows clipped data to the right, it means you have “blown out” certain areas of your photo that will display as pure white. 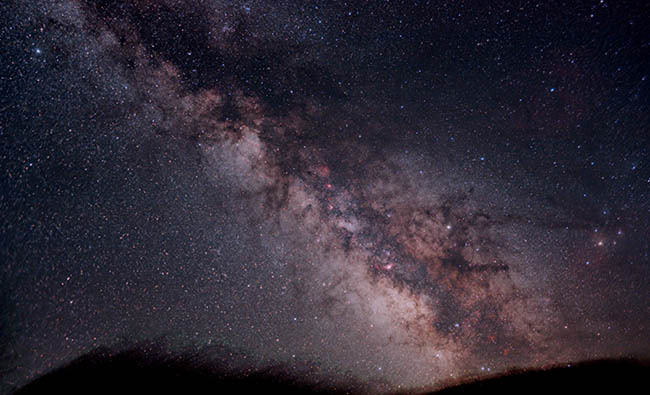 This can be a bright light, the overall light pollution in the sky, or even the brightest area of a deep sky object such as the core of a galaxy. My goal is that you have taken something away from these astrophotography tips that causes you to get out and shoot tonight. The motivation that comes with the rewards this hobby provides can just as easily be taken away by discouragement. I urge you to push forward with your own techniques and take stock of your personal improvement between images. The next step in the process is to understand the process of “stacking” multiple long exposure images together to improve the signal-to-noise ratio. This is an essential technique to learn so that you can maximize the amount of detail captured in your images. Before diving into stacking software such as DeepSkyStacker, try stacking your images manually in Adobe Photoshop. 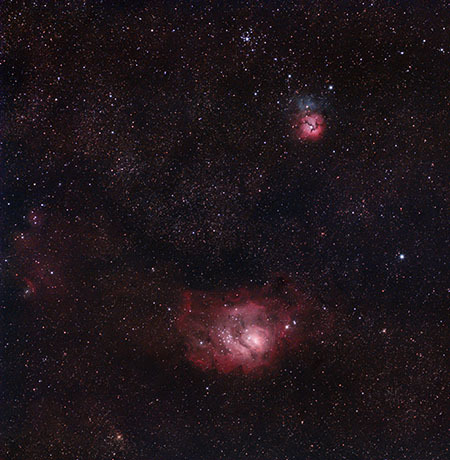 When you ready to enter the world of deep-sky astrophotography through a telescope, be sure to have a look at my advice on building your first deep sky astrophotography kit. If you’d like to see a step-by-step walkthrough of my deep-sky process (using a telescope), have a look at the following video: Deep-Sky Astrophotography Walkthrough.